The National Citizens Alliance (NCA) believes that cronyism and entrenched entitlements are counter to the best interests of the Canadian people. The federal government has been around for almost 150 years, and only the two same federal parties have governed. The NCA believes that this entrenched political power has contributed to the cronyism and entitlements in the federal government. Two main sources of cronyism and entitlements are the Senate and the federal bureaucracy. The NCA believes that elected officials and bureaucrats should serve the people, and never the other way around. In addition, the NCA believes that the country’s growing financial crisis is tied partly to the federal cronyism and entitlements. 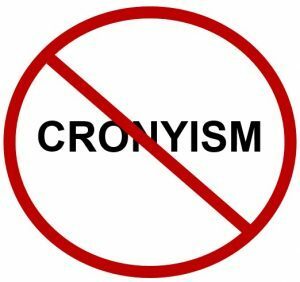 The Anti-Cronyism policy statement requires a vote of the NCA membership to be adopted. A minimum 70 percent voting membership must support the policy and with a 50 percent quorum of voting membership as per the NCA Constitution (2014).